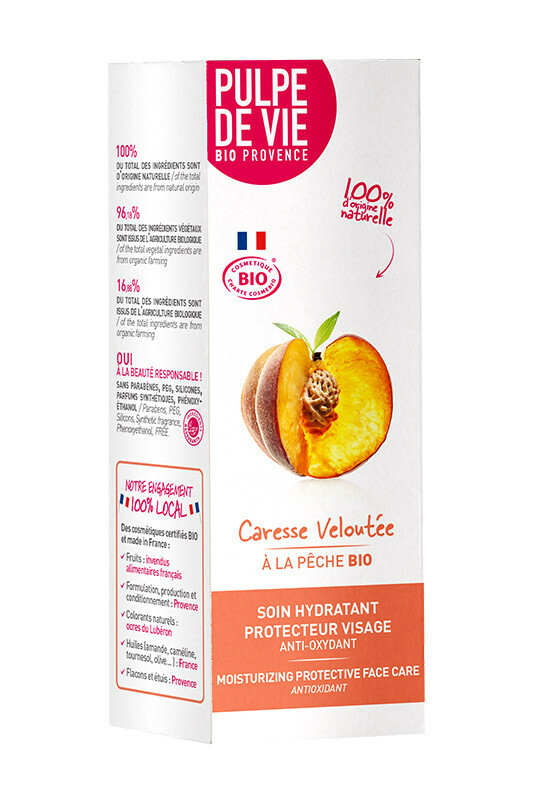 Pulpe de Vie Organic Day Cream Caresse Veloutée is a radiant skincare for your face, moisturizing and antioxidant, perfumed with hot vines peaches. I am made of 30% Kiwi juice and peaches extract from the fresh and organic Mediterranean region's fruits and a cocktail of lemon balm and mallow. I have 3 active moisturizers and anti-radicals: glycerin, hyaluronic acid and olives polyphenols, patented assets. Adopt me ! 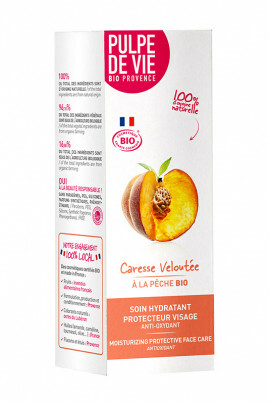 Applied everyday on clean skin, Pulpe de Vie Organic Day Cream Caresse Veloutée is like a real velvet caress. I am made of 30% Kiwi juice and peaches extract from the fresh and organic Mediterranean region's fruits and a cocktail of lemon balm and mallow. 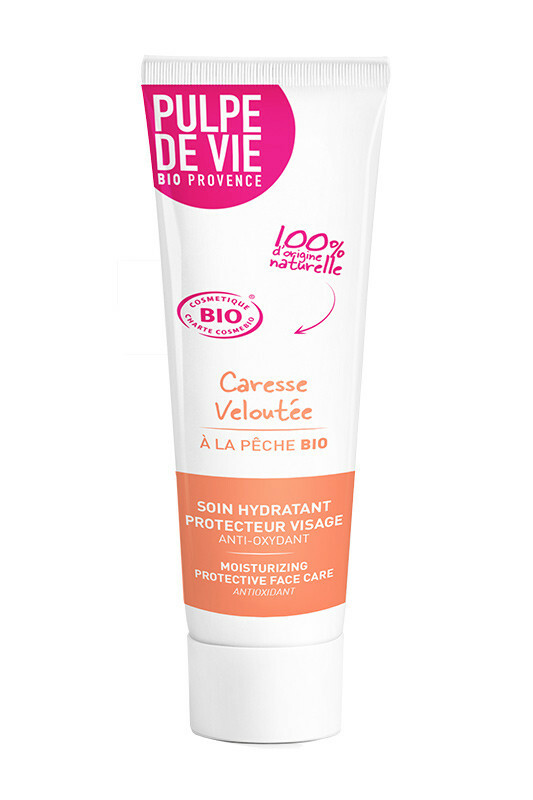 I have 3 active moisturizers and anti-radicals: glycerin, hyaluronic acid and olives polyphenols, patented assets.